I could tell you my adventures — beginning from this morning, but it’s no use going back to yesterday, because I was a different person then. You can attend ConFuzzled in multiple ways. It boils down to three main types – Residential, Attending Only (i.e. non-residential), and day tickets. Everything else is optional! 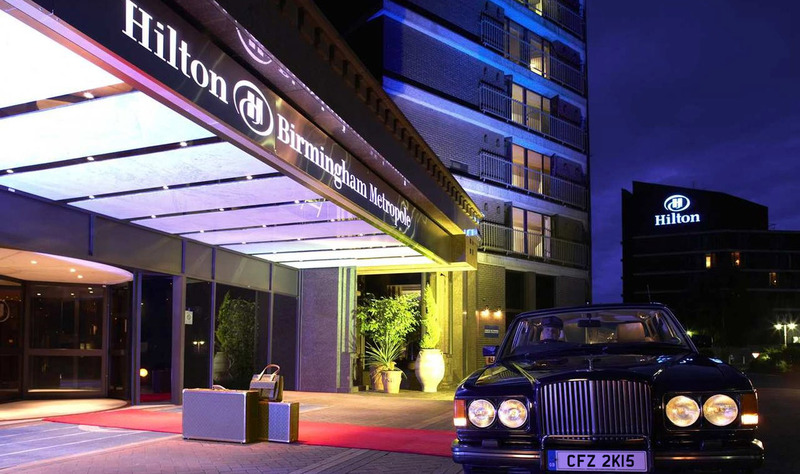 If you want a room at the Birmingham Metropole, then you’ll need to go for a Residential attendance. If you’re a local or you’re staying nearby, then you can opt to just pay for your attendance fee with the Attending Only ticket. This is our main residential ticket, and these prices are per-person and include a standard attendance ticket, four nights’ accommodation, breakfast and access to the gym and pool facilities – they represent excellent value for money. All rooms are en-suite. 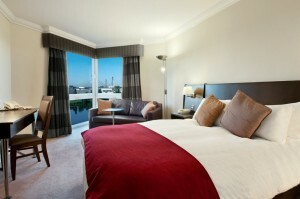 For more information on each room type, please see the Bedrooms section of our Venue information. If you want more nights, scuttle down the page to the extras section to see the prices. Also, please note that if you opt to go into a room for two people and don’t declare someone to share with, once registration has closed you will be assigned a person at random to fill your room. It is not possible to have more than two people sharing a room. All prices shown above are per person. Registrations made prior to January 7th 2015 will include a discount of £10 to the prices shown above (excluding Early Arrival and Late Departure prices). All attendees staying overnight in the hotel must have a Residential, Residential Plus or Residential Sponsor package. Certain payment methods may incur a surcharge which will be displayed during the registration process. Please remember that registration requires pre-payment. This is our non-residential ticket, ideal for people who live within the vicinity or for people wishing to stay at their own organised accommodation. It does not include food, drink or accommodation at the venue. Please note you will be expected to leave the venue each day shortly after the last event of the evening has ended. A standard attending only ticket is a simple one off charge of £80. You can bolster your ticket with Plus or Sponsor options, detailed in the table below. Attending Only registrations made prior to January 7th 2015 will include a discount of £10 to the price shown above. All attendees staying overnight in the hotel must have a Residential, Residential Plus or Residential Sponsor package. Certain payment methods may incur a surcharge which will be displayed during the registration process. This is a non-residential ticket, perfect if you are able to attend only for a day or two. It does not include food, drink or accommodation at the venue. Please note you will be expected to leave the venue at the end of the day shortly after the last event of the evening has ended. For stays for longer than three days, an Attending Only ticket is more economical. Day tickets, just like all other tickets, must be purchased in advance. No tickets will be sold at the convention itself. In order to purchase a day ticket, you must email the Registration Team; day tickets will not appear in the standard selections on the registration system. All attendees staying overnight in the hotel must have a Residential, Residential Plus or Residential Sponsor package. Certain payment methods may incur a surcharge which will be displayed during the registration process. At ConFuzzled we like to reward those that give a little extra. If you opt to pay for your T-shirt early by choosing the Plus upgrade, we’ll bundle in an exclusive treat that’s only for Plus and Sponsors. If you decide to help us out by sponsoring, then we’ll reward you with a massive heap of goodies, stick your nick name in the conbook and give you a coveted orange badge and lanyard. Take a look at the table below to see how the various membership levels stack up. Plus and Sponsor levels are available for all residential and non-residential tickets, but unfortunately are not available for day tickets. So, what’s this about tiered gifts? Find out more information here! Other benefits that you just can’t put a price on: Plus and Sponsors get a smug sense of satisfaction that they got their T-shirts at the same time as the Staff. Sponsors get a free warm, fuzzy feeling for supporting the convention ♥. Upgrading to Sponsor or Plus is available at the convention but you may not receive all the listed items as these are subject to availability. If you want to guarantee these items, you must upgrade to Sponsor or Plus in advance. You can extend your ConFuzzled experience by turning up early and leaving later. Give yourself an extra night to get ready. Stay an extra night to recover and unwind with the staff. If you are in a double/twin/executive/suite and your roomsharing partner is not staying the additional night(s), it will not affect the cost for you to stay the extra night(s).